* This post contains affiliate links, which means that I may receive a small commission (at no cost to you) if you subscribe or purchase something through the links provided. Please note: I will never become an affiliate partner for a product or service that I don’t use and love! At the end of 2015 I purchased Your Best Year 2016 planner by Marketing Creativity. I was determined to go through it this time. I purchased it at the end of 2014 and took away some great info, but I didn’t apply it as much as I should have and could have. So this year I set out to evaluate my business and really take a good look at what was working, what wasn’t working, and where I needed to make some changes. One of the first decisions I made was to make my blog my focus again. I also knew it was time to take my blog in a new direction. I realized that my bigger passion is behind the scenes. My blog would stay with a crochet core (obviously) but I knew it was time to fine tune my niche. This past Sunday our pastor said something, and while he wasn’t referring to businesses, it totally pertains to this. 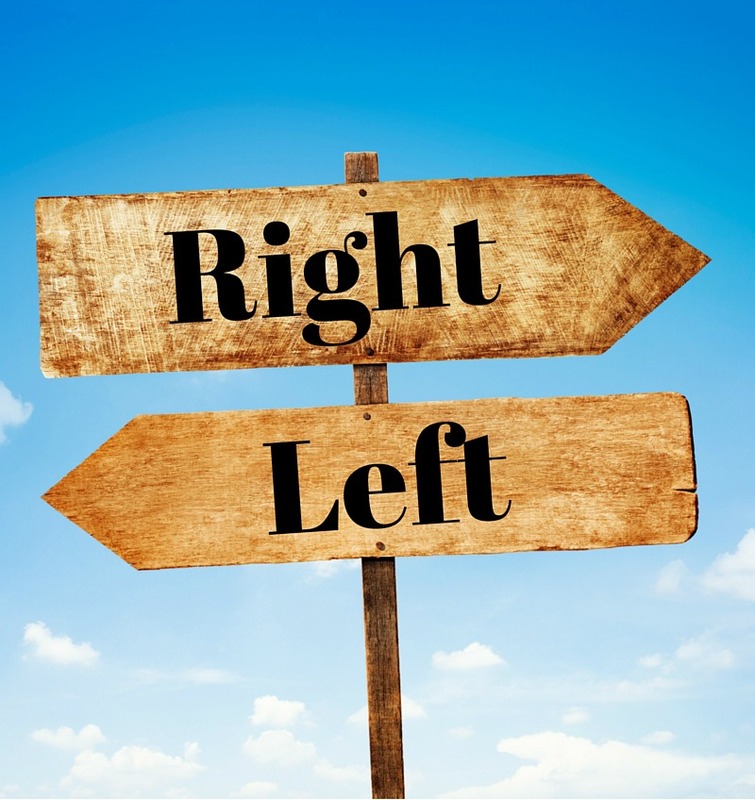 He said, “You can’t go left if you are going right.” I know, profound…. But think about it. In marriage you can’t be faithful and cheat on your spouse. In school you can’t study accounting if you want to become a doctor. And in business you can’t go left if you want to end up down the right path. This is where the decision I made at the beginning of the year was confirmed. 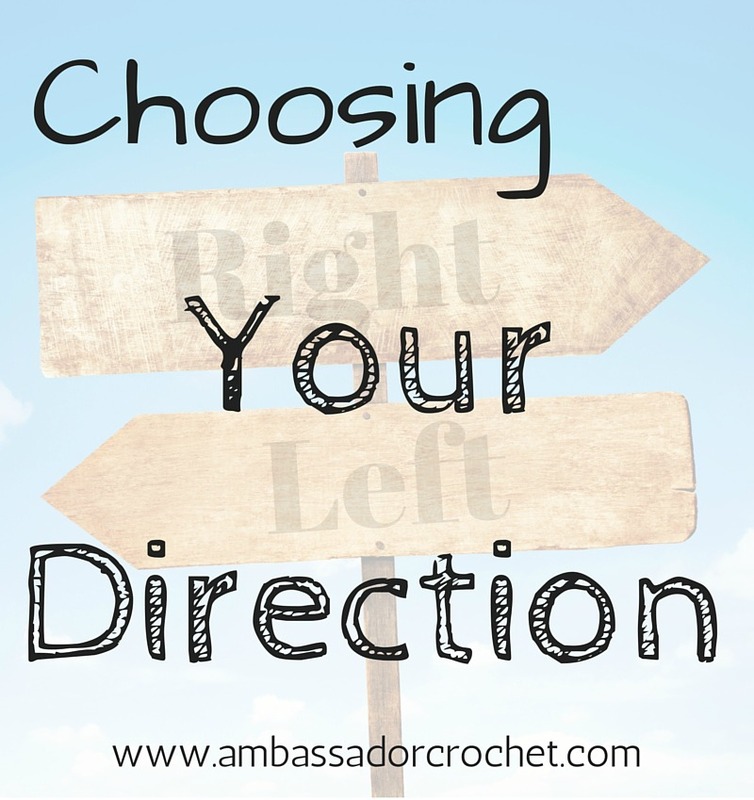 I want my business to focus on the behind-the-scenes of the crochet world. My passion is patterns. Reading them, writing them, dissecting them. It’s just what I love. So it’s time for me to stop worrying about what I was down along the path to the left and trust that I’m on the “right” path. My word of the year for 2016 is confidence and I need to believe and know 100% that I made a good decision for my business. I don’t need to look around and double check to see if I’m competing with others or see if anyone else is covering the same topics. Been there, done that. All it does is discourage me and I burn out, which is why it became one of the 5 Things I Will NOT Do in 2016! I made the commitment to do monthly goals and then post them here – it’s a proven fact that accountability works. Below are my results for Feb. and my new goals for March. Create my opt-in freebie that I’ve been planning forever. Finish and publish 1 unfinished pattern. – I actually felt super productive with this goal! I finished and published 3 patterns that have been on my to-do list. I only did 8, but my site was down from Feb 5 – Feb 12. (This post went viral on Pinterest and I’m pretty sure that’s what caused my site to crash for a week.) I decided I wanted quality over quantity, so I’m counting this as done. Grow my blog + each of my social media accounts by 10%. While all my accounts didn’t grow by 10%, my overall number of supporters over all my social media accounts grew the same amount in Feb as it did in all of 2015. I consider that SUCCESS! This planner has been such a blessing in my life and in my business. I will continue to make it a priority every month. Finish unpacking my school/work room. Create my opt-in freebie – This HAS to be my #1 goal for March! Create 2 new patterns to publish. Finish and publish 2 unfinished patterns. Publish 10 new blog posts in March. Spend 10-15 min/3x day on social media growth. Continue to work through Your Best Year 2016 planner + Luminaries Club. I didn’t get to #1, #8, & #9 – which were carried over from January. SO, those will be a huge priority in March so I can cross them off and move on into what I have planned for my business in 2016. (#8 really has to be done because I have family coming in from out of town and that’s also our spare bedroom). How are you doing with your goals this year? I love the “results driven” motivation I have for my business this year and I’m looking forward to sharing more with you.